Although difficult to access, on the outside of Nootka Island and the Brooks Peninsula, outer reefs are known for their consistent wave action, creating ideal surfing in a setting of spectacular beaches, waterfalls, and coastal mountains. Hesquiat Peninsula’s profile allows it to catch most swell directions, providing great surf spots as well. Still in its infancy as a sport in this province, windsurfing and kiteboarding are gaining popularity as a recreational pastime. Several spots near Tahsis are thought to have suitable characteristics, including Tahsis Inlet and Muchalaht Inlet. Tahsis is a fabulous cold-water diving location with easy access to incredible dive sites on the west coast of Vancouver Island. Come visit us for the ecotourism dive of a lifetime! Here in Tahsis, we have a number of scuba diving groups that return to our part of the Emerald Sea every year to explore the underwater wonders at our doorstep. The majority of our most popular dive sites are within a 20-30 minute boat ride from the dock. 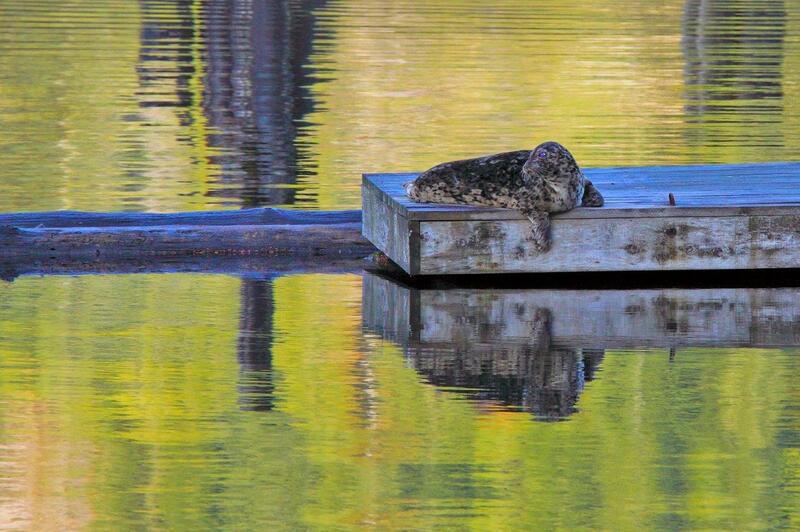 Nootka Sound is probably the best-kept ecotourism secret in the saltwater diving community! Our local spectacular dive sites range from relatively shallow wall dives, with huge rock scallops and octopus, to deeper dive sites festooned with amazing cloud sponges and coral. Tahsis Inlet has a rare Gorgorian Coral Grove at Mozino Point in the Tahsis Narrows, at divable depths starting just over 100 feet. The local stand of coral shows intense color due to ideal growing conditions, provided by the strong tidal current. This area also has carpets of pink strawberry anemones, Puget Sound king crabs, and cloud sponges. Tahsis and Leiner Rivers provide excellent ecotourism snorkeling opportunities in the late summer and early fall, when the salmon return to spawn. 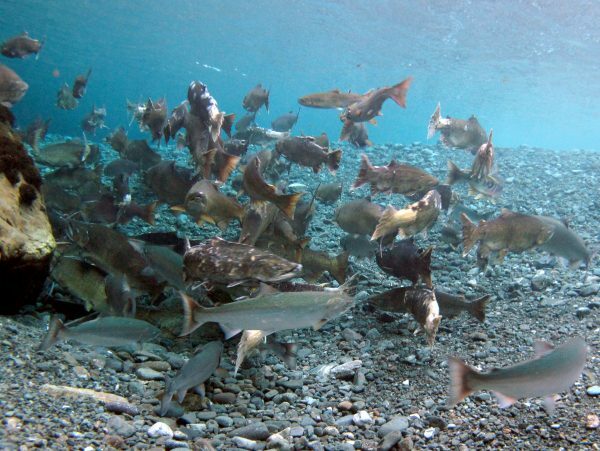 At those times, the rivers are full of Coho and Chinook, as well as the occasional Pink, Chum, and Sockeye. Kayaking in Tahsis is an ecotourism adventure that guarantees the experience of paddling at its best, whether you are an expert or just beginning! With an isolated and remote coastline, beautiful campsites, magnificent sunsets, and an abundance of wildlife, the heart of Nootka Sound is the perfect staging area for kayakers of all levels. Tahsis is an excellent launch point for the Tahsis Inlet, Esperanza Inlet, or Nootka Sound. 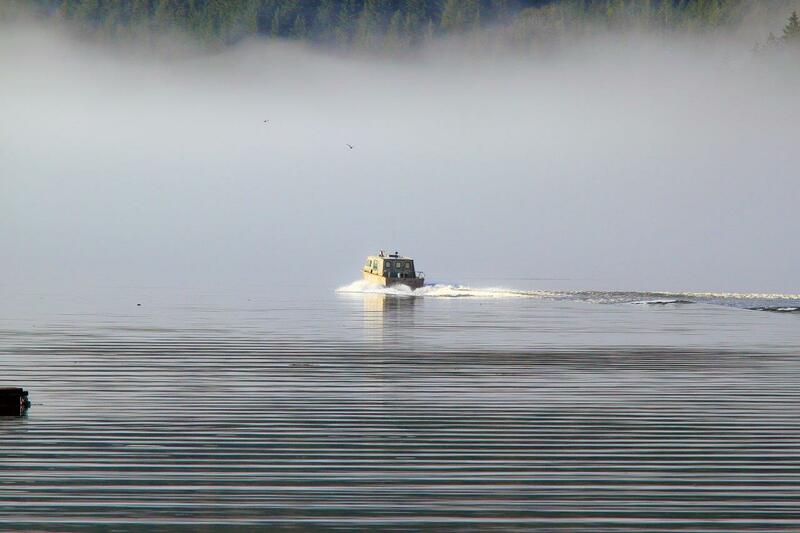 Tahsis’s Shorebird Expeditions water taxis can take you to Nootka Island or to the gorgeous islands in the Nutchatlitz area. Kayakers wishing to explore the more remote waterways and inlets can book space for themselves and their kayaks aboard the MV Uchuck 111. The vessel will unload kayakers in designated areas, with convenient arrangements made for a scheduled pick up later on. Scuba diving charters, dive gear sales and rentals, air and nitrox fills. Nootka Sound – probably the best kept secret on the West Coast.